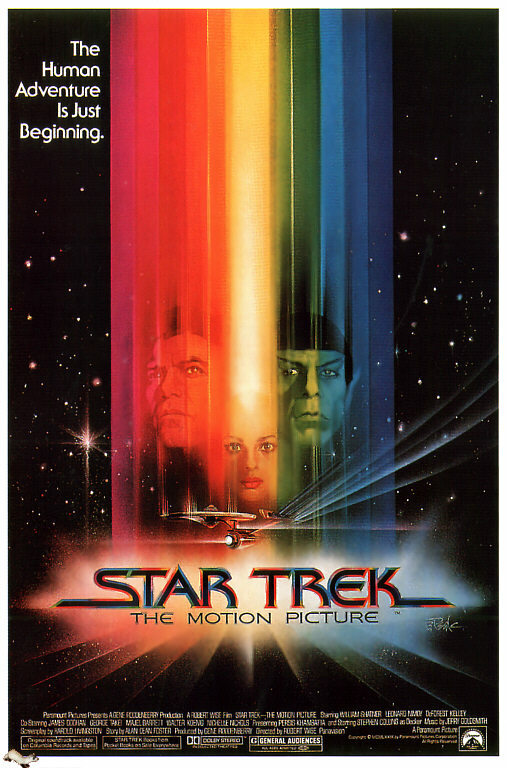 A little while ago, I did a couple of review on the original Star Trek movies. Overall, it’s an epic series of movies, save for a few bad eggs. There was still a lot more great than bad, so I was pleased. It would be wrong to talk about those movies and leave the more recent Next Generation movies in the dark. Wether you like the original series or The Next Generation better is a different story. I personally think that both have their own unique strengths that hold them both up very well. That may be a cop out answer, but you can’t make me choose. Anyway, let’s get started with the first part of my reviews. 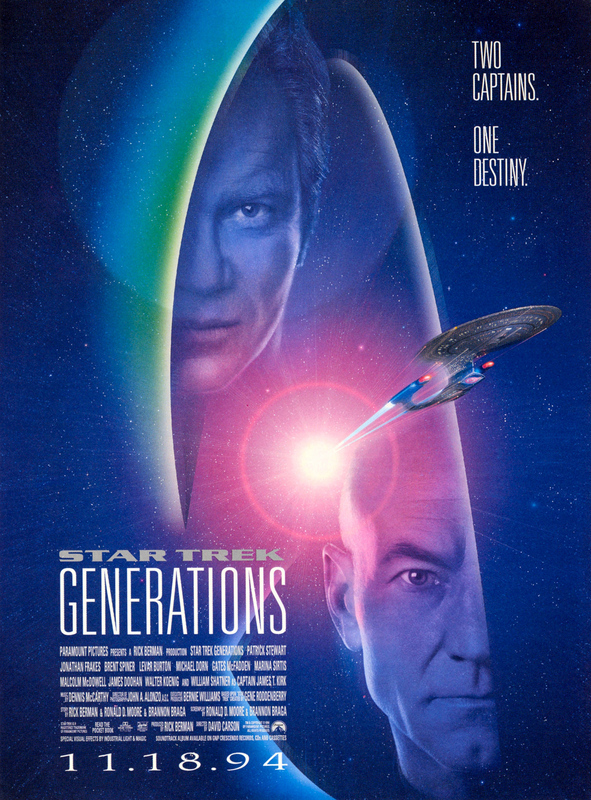 The first movie to feature The Next Generation cast was the 1994 film Star Trek: Generations. The interesting thing about this one is that it also features some cast of the original series. Could it possibly live up to that kind of potential? In the past, James Kirk (William Shatner), Pavel Chekov (Walter Koenig), and Montgomery Scott (James Doohan) are guests for the maiden voyage of the USS Enterprise-B. After answering a distress call involving ships caught in an energy ribbon, the Enterprise-B also gets damaged and Kirk is apparently killed. In the time of the the Enterprise-D, Captain Picard (Patrick Stewart) and the rest of the crew are called to investigate an incident on a space observatory where they find Dr. Soran (Malcolm McDowell), an El-Aurian who was also saved from the energy ribbon by the Enterprise-B. It soon becomes clear that Soran’s motives to get closer to the ribbon are not scientific, but personal as he will do anything, including destroy an entire planetary system to just reenter the ribbon, which is a place that time does not exist and a person can travel and do whatever they want. In order to stop Soran, Picard relies on an old Starfleet legend: James Kirk, who has also been trapped in the ribbon for all these years. There isn’t really a whole lot to say about Generations. It’s great to see the crew of The Next Generation finally get their own big budget movie, and it’s also cool to see some older faces from the original series in the same movie. There isn’t much inherently wrong with this film, but by the time the credits begin to roll you can’t help but feel you’ve watched a weak entry into the series. The best way to describe this movie is just as a longer and more expensive episode of The Next Generation. The whole plot involving the energy ribbon and being able to enter it and travel in time is just the kind of thing you would see in one of the cool episodes of the series, but I’m not sure that’s enough to really carry a feature film. That’s not to say that there aren’t some stand out parts of Generations. The crew all do great in their first time together on the big screen, and McDowell’s villainous performance as Soran is both tragic and sinister which makes him a perfect fit for this series. There’s also some excellent comedic relief since Data fits himself with Doctor Soong’s emotion chip that he gets off Lore towards the end of the series. Finally seeing Data truly understand emotions is funny and, in some odd nerdy way, makes me proud. This isn’t an excellent entry into the series, but it also isn’t a bad one. This movie has enough to make fans happy, but will also leave them wanting a bit more. I say it’s worth a watch. 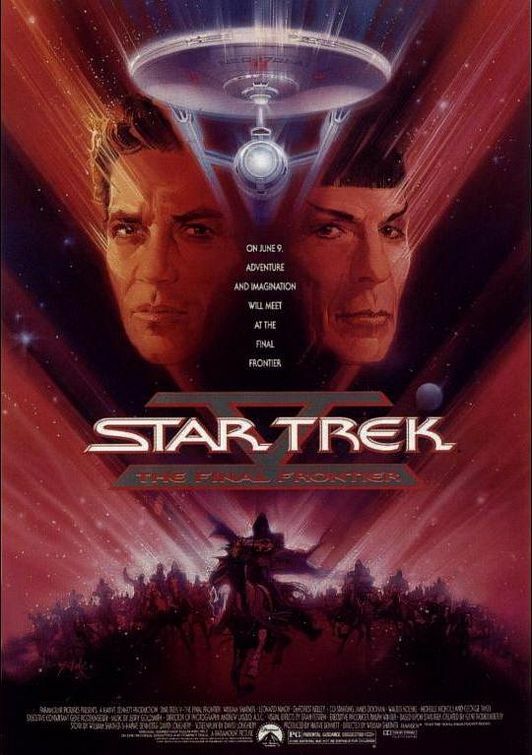 Two years later in 1996, the crew of The Next Generation got their very own movie where no other character from the original series made an appearance. 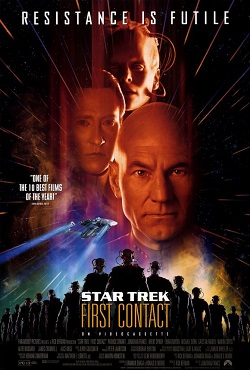 This film was Star Trek: First Contact. Ever since being assimilated by the Borg, Captain Jean-Luc Picard has never fully recovered from his experience. Now, he’s forced to face his most dangerous enemy yet again as they begin their assault on Earth. After defeating the Borg Cube, a sphere is released from the ship and sent through time with the plans of killing Zefram Cochrane (James Cromwell) before he can create the first warp engine and establish first contact with an alien race. This will make humanity more susceptible to the Borg and their mission of assimilation. Luckily, the Enterprise manages to travel through time as well, and fight back the Borg and aid Cochrane in his attempts to repair the warp engine. For those left on board the Enterprise, however, things don’t look so good as the Borg sneak onto the ship and wage an all out war with the crew. Take everything cool in Generations and make it even cooler, and the result is First Contact. This is how you make a high quality Star Trek film. So far, this is one of the best entries in the entire franchise, including the original series. For starters, the Borg are my favorite villains in Star Trek, and making them the main antagonists for this film was a great idea. It brings a lot of the canon from the show and adds even more to it, while also revealing the man Cochrane really was, rather than the hero Star Fleet has made him out to be. There’s a lot of themes about humanity and what it means to be human and good, which seems to be the prime directive for the writers of Star Trek. It’s themes like this that feel all the more highlighted when you’re watching a feature film rather than an episode on t.v. Along with improving the villain and the storytelling, First Contact also amps up the action and characterization. The main draw to watch Star Trek is to see the crews, whoever they may be, work together in such unison that no problem appears to big for them to handle, even at the most dire of moments. In this film, the crew is split up doing equally important things, which means their screen time is never wasted. On Earth, the scenes are much quieter, but the Enterprise is where all the action is. There’s one scene in particular that takes place on the outside of the Enterprise that might be my favorite scene in any Star Trek movie. The space battle in the beginning is another highlight in an already outstanding film. 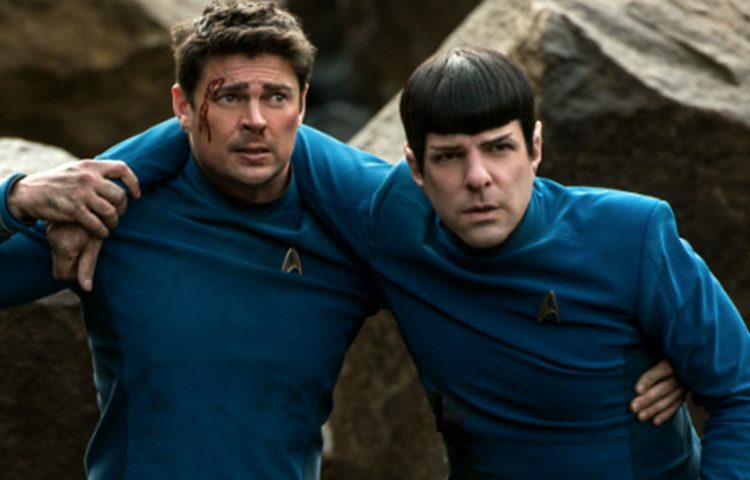 For fans of The Next Generation, this is the Star Trek movie for you. It shows all of the strengths and weaknesses of the characters very clearly while also beefing up the canon that has already been established. There’s great acting, a great villain, and many memorable scenes that will keep your eyes glued to the screen. So that’s just the start of my reviews for The Next Generation movies. Up next, I’ll be looking at Insurrection and Nemesis. Let me just say this right off the bat. I love Star Trek, and by “love it,” I mean to say it’s one of my favorite things in the entire United Federation of Planets. That being said, I’m completely fine with admitting that it is certainly not a perfect franchise. 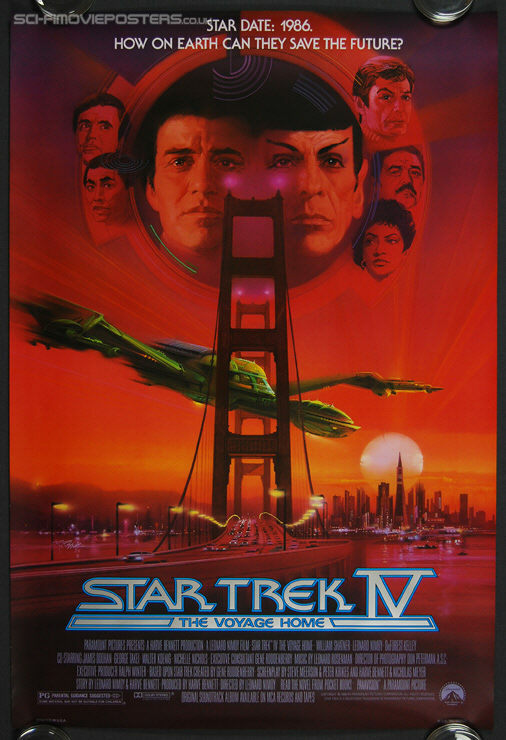 A perfect case and point would be the 1989 stinker, Star Trek V: The Final Frontier. But that was a long time ago, and now we have movies in this continuing series made with a much bigger budget and newer, younger actors playing the iconic roles. The reboot of Star Trek was pretty good and Star Trek Into Darkness was great. 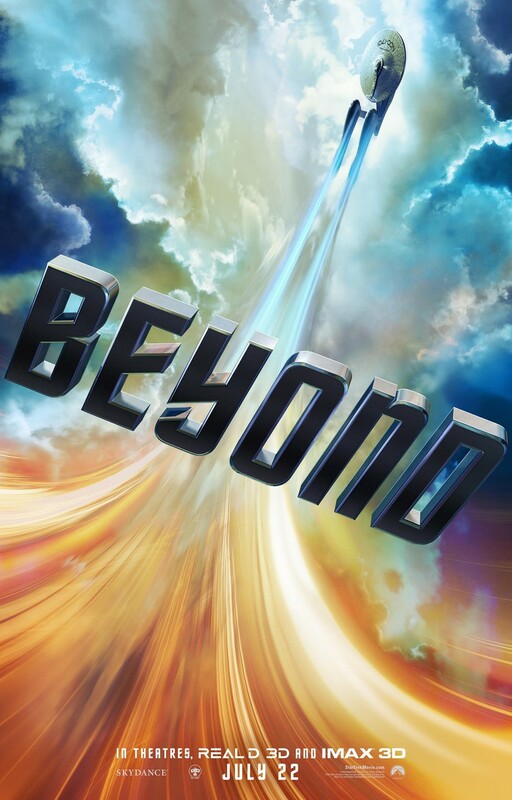 So where does that leave Star Trek Beyond? To put it simply, this is not a perfect movie, but it’s a more than adequate summer blockbuster and a nice fit with the previous lore that was established in the original series. After passing the two and a half year mark of their five year mission, Captain Kirk (Chris Pine) is starting to lose sight of this mission’s purpose. 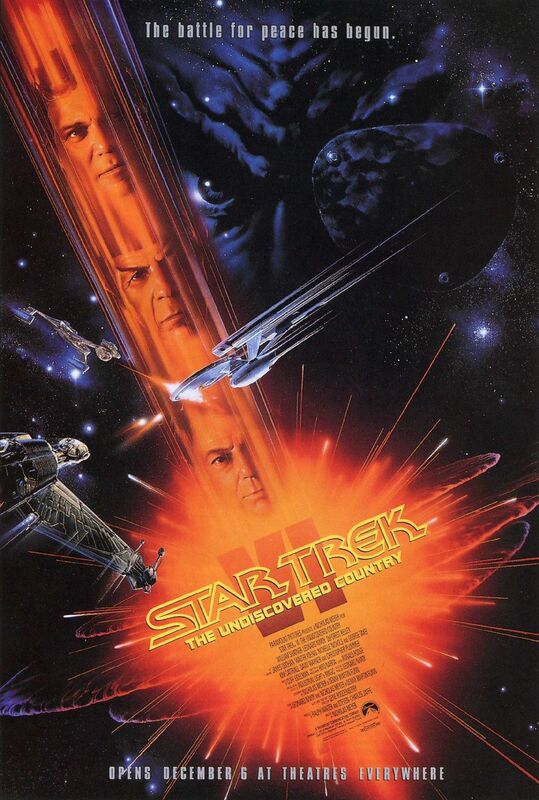 While the USS Enterprise is docked at the Federation’s most technologically advanced starbase, Yorktown, a distress transmission and escape pod is received which prompts Kirk, Spock (Zacahry Quinto), McCoy (Karl Urban) and the rest of the team to travel to the source of the distress call. While en route, the Enterprise is attacked and destroyed by Krall (Idris Elba), a vengeful being looking for something of high importance on board Kirk’s ship. 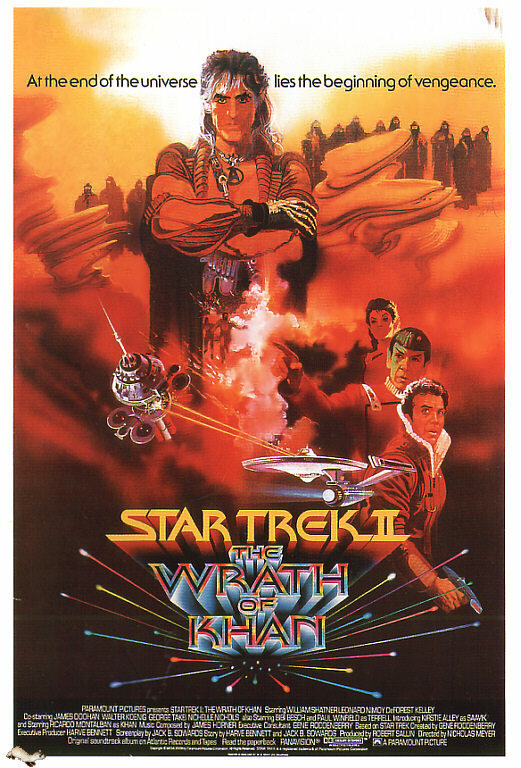 Now stranded on the planet’s surface and on the run from Krall and his army, the crew of the now destroyed Enterprise must band back together after being separated and stop Krall from unleashing his master plan upon the Federation. The first thing I noticed after the movie was over and I began thinking about it was that it felt like a really long Star Trek episode, and isn’t that really what it’s all about? If the formula of something is so good and malleable that it has lasted 50 years, why change it now? There have been countless episodes with people stuck on a planet with some sort of antagonist, and it usually ends up with their clashing and Kirk’s shirt ripping. This takes that premise and ups the ante by a lot. The budget for Star Trek Beyond was obviously huge and it shows in some of the more impressive action set pieces. One scene in particular involving a Beastie Boys song on full blast kind of stole the show for me. This is a very exciting movie, and might be the most action packed of the rebooted movies thus far. That being said, it doesn’t quite reach the heights of Star Trek Into Darkness because of some key reasons that bothered me a little. Right from the trailer, I knew that most of this movie would not take place on the Enterprise, and it turns out that I was correct. This is a little disappointing for me because a lot of the joy I get from Star Trek is watching these incredibly skilled characters work and operate as a team on their starship. The team work is still there in this movie, of course, but most of it happens on the planet’s surface instead of on the bridge of a ship. This is quickly rectified in the last third of the movie, which is stunning to say the least, but I would’ve like to see more on the Enterprise. Also, I feel like some of the characters were underutilized. Uhura (Zoe Saldana) and Sulu (John Cho) are pretty much held hostage for a large chunk of the movie while McCoy and Spock are just walking around trying to find people. The characters that get to see most of the action are Kirk and Chekov (Anton Yelchin), who really seem to be at the center of the action for most of the film, and Scotty (Simon Pegg) who meets a really cool character named Jayla (Sofia Boutella) and helps her repair her ship. Krall doesn’t even have much to do until the very end, but like I said, that third act is a real wild ride. It’s surprising that it wasn’t very widespread that year marks the 50th anniversary of Star Trek and that this film was pushed back so it could be kind of a celebration for the franchise. Star Trek Beyond, and really all of the movies in the rebooted series, pay a lot of respect to the original television show and movies. 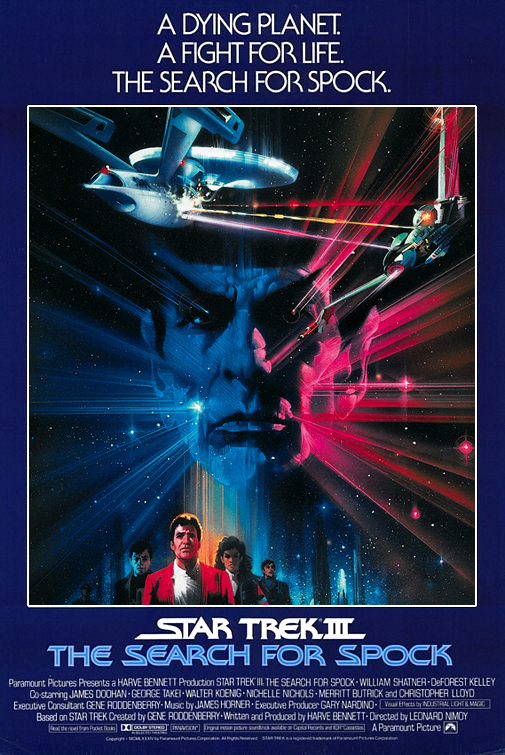 For one thing, Leonard Nimoy has been in them, and even is given plenty of recognition in this film, which was great to see since Nimoy passed away early last year. I already mentioned that this film felt like a long episode of the original series, and in a way that’s the perfect homage to a show that changed t.v. and get people talking. There’s one scene in particular near the end that recognizes the original show and pays tribute so well, it plastered a great big smile on my face. Despite some mild disappointment with certain aspects of the story and characters, it’s impossible for me to say that Star Trek Beyond was a bad movie. In fact, it was a very good movie, and I liked it way more than I thought I would. All of the actors really know who their characters are and play them really well, while also interacting with each other very well. The passing of both Leonard Nimoy and Anton Yelchin does add some sadness to the experience, but nothing is lost because of it. Star Trek Beyond provides fans and newcomers alike with some great action, entertainment, and drama while the franchise keeps succeeding at its mission of boldly taking audiences where no one has gone before.